Scientists with the Florida Fish and Wildlife Conservation Commission have uncovered a new species of black bass in area waters, including the Escambia and Perdido rivers. FWC scientists first noted a DNA profile that did not belong to any recognized species while testing a bass specimen from the Chipola River in 2007, as part of a broader genetic study of bass. After confirming the initial discovery, scientists searched for the DNA profile in bass caught in nearby rivers to determine the species’ range. They found that the Choctaw bass inhabits coastal river systems in Alabama and along the western Florida panhandle. The Choctaw bass has been confirmed in the Escambia, Perdido, Conecuh, Choctawhatchee, Yellow and Blackwater rivers. “We chose the name ‘Choctaw bass’ because the species’ range overlaps the historic range of the Choctaw Indians,” said Tringali. “As for our recommended scientific name, Micropterus haiaka, ‘haiaka’ is a Choctaw word that means ‘revealed’.” The American Fisheries Society must approve the suggested scientific name for it to take effect. The Choctaw bass is very similar in appearance to its relative, the spotted bass. The physical differences between the two species are not easily seen with the naked eye, one reason they had never before been distinguished despite decades of bass studies in the region. Now that this native bass is known, scientists want to ensure the population remains healthy by implementing the best possible conservation management practices. Ironically, the biggest conservation threat to the Choctaw bass may come from its cousins, spotted bass and Alabama bass. Typically, Choctaw bass have been found in the upper reaches of rivers and streams where sediment accumulates, avoiding stream headwaters and tidal zones found closer to the coast. 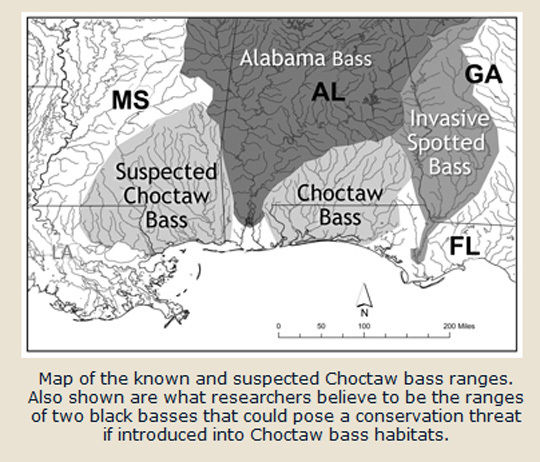 As of late 2012, everywhere Choctaw bass had been collected, spotted bass and Alabama bass were absent. Courtesy images for NorthEscambia.com, click to enlarge. Living on the upper headwaters of the Perdido River this is new to me, I am only aware of the Largemouth Bass, refered to by the older generations as a Green trout. 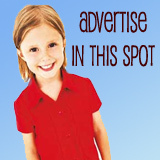 Have any been taken in the Perdido? and appx what size is common? Its kind of look like a walleye mixed with a large mouth bass, but so far does anybody jo the pop. Of fhis fish and what does it eat. So are all these little bass we’ve been catching in Little and Big Escambia creeks this newly discovered species? We’ve caleed them Spotted Bass, or more accuratley, just Bass, for a long time. They look almost identical to this picture, but the tail is not nearly this yellow. But this could just be difference in enviornment, such as water temperatures and such. Just curious as to what we’re catching and eating. Whichever they are, they taste good fried, grilled or broiled!